Lizzie Borden | Nobody Move! Of course Lizzie was acquitted of the murders. So technically, the case remains unsolved. You can read all about it at truTV’s CrimeLibrary. You can sleep in Lizzie’s old bedroom at the Lizzie Borden Bed & Breakfast, where live re-enactments are performed for guests. There’s also a gift shop where you can buy Lizzie Borden memorabilia, like the Lizzie Borden Axe Cookie Cutter. Sounds like a nice spot for a romantic weekend getaway. April is National Poetry Month. To mark the occasion, writer, poet and editor Gerald So has organized a blog tour called 30 Days of The 5-2. Gerald is the creator and editor of The 5-2, an online crime poetry weekly. Each day, a different blogger will post about crime poetry and/or the 5-2. Last month, Gerald invited me to participate in the 5-2 blog tour, which I was happy to do. I decided I would take the opportunity to tell you about a poem that I found particularly interesting: “The Death of Lizzie Borden”, by J. Rodney Karr. For those of you not familiar with Lizzie, you can learn all about her here. 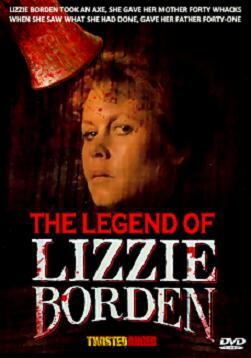 I’ve had a fascination with this case for years, ever since I saw The Legend of Lizzie Borden when I was a kid. As it turns out, J. Rodney Karr saw that same movie. It starred Elizabeth Montgomery as Lizzie and Fritz Weaver as her father. One of the things I was always curious about was how life was for Lizzie after her acquittal. I know the basic details, but what was life really like for her? Did the guilt weigh heavily on her? How did she handle the disdain of her neighbors? What goes through the mind of a murderer who got away with it when the end of life approaches? It’s a question I have asked more than once. 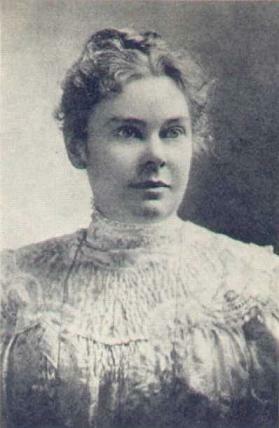 “The Death of Lizzie Borden” looks at the end of Lizzie’s life. In her final hours, she reflects on the murders she had committed years earlier and the actions she had taken to cover up her involvement in the crime. It’s the sad end of a woman who chose the wrong path. 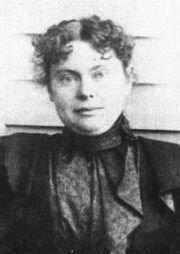 After you read “The Death of Lizzie Borden”, you might want to check out some of the other poems on The 5-2. There’s some good stuff over there. This is not your grandmother’s poetry. It’s all about crime, baby.